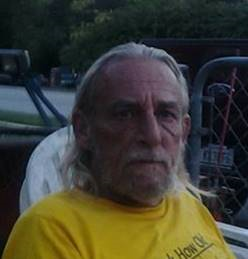 Kevin Lee Brown, formerly of Glen Burnie, passed away at his home on October 31, 2018. Born in Baltimore, MD on January 11, 1961. He was the son of the late Adam D. Brown Jr. Kevin is survived by his mother Darlene Mary Taylor, the love of his life, Mary Winters and their two daughters, Janet and Crystal Brown. Kevin is also survived by three brothers Adam D. Brown III, Warren C. Brown, and Russell J. Riley and four sisters, Dora J. Beam, Linda L. Gregory, Darlene M. Johns, and Dawn M. Drisgill and numerous nieces and nephews. Relatives and friends are invited to visit at the family owned and operated MCCULLY-POLYNIAK FUNERAL HOME, P.A. 3204 Mountain Road PASADENA on Tuesday, November 6, 2018 from 2 p.m. to 4 p.m. followed by a brief funeral service.